myGwork: For how long have you been part of Embrace? 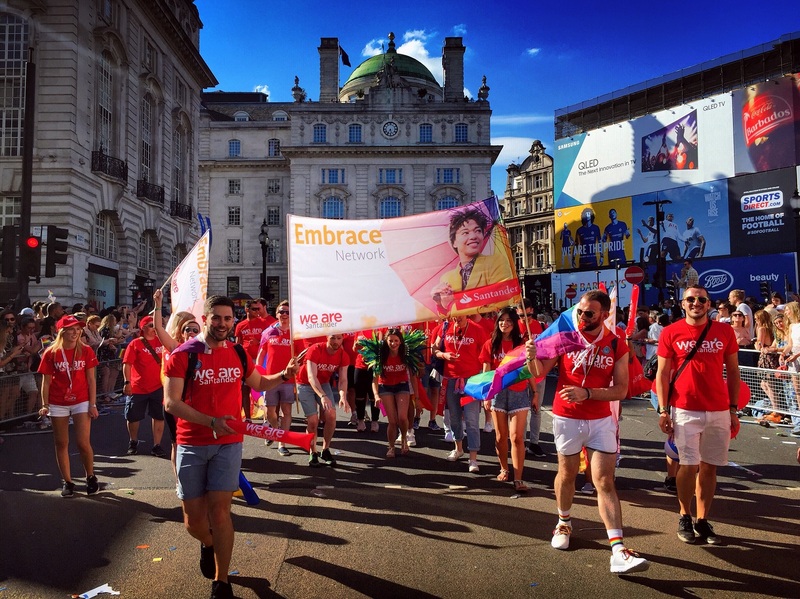 Stuart: I’ve been part of Embrace, Santander UK’s LGBT+ employee network, coming up for 4 years now. I joined when the Network was in its infancy, initially as a Site Champion. I’m now Head of Pride Events for the network, responsible for leading Santander UK’s involvement in all of the Pride events across the country, and I’m also Site Lead for our Glasgow head office which has over 500 active network members in Glasgow (and over 2,800 members nationally!). It’s been so rewarding to have helped shape and grow the Network, and I’m so proud to see all of the progress that we’ve made over the years, growing from a handful of members into a thriving people network full of engaged and enthusiastic people passionate about making Santander the best bank for our customers, people and communities. myGwork: What has the LGBT+ network brought you in your day to day job? Stuart: Being part of the Network has given me exposure to so many different skill sets that I wouldn’t have had a huge amount of exposure to in my day to day role: events planning, presenting skills, networking, engaging with senior stakeholders, strategic planning, and writing communications, to name but a few. These skills are so adaptable so I’ve been able to apply them to benefit my day to day role. So for example, through some of the Embrace Network events I’ve organised, I’ve made contacts within our local branch teams and have then had the opportunity to present to their teams about how I can support and empower their teams in my day to day job. A few years ago I would have been petrified to stand up in front of a room of branch managers and deliver a presentation, whereas now because of the networking and presenting skills I’ve developed through my role in the Embrace Network, I feel a lot more comfortable and confident. Stuart: One of my proudest moments has been being approached by a member of staff who I’d never spoken with before, who confided that his young son had recently come out. He was really concerned about him but didn’t know how he could support him so came to me for advice, as he was aware of me due to my role in the Network. I reassured the colleague, shared some of my personal experiences, and pulled some resources together including some local youth groups. He then updated me a few weeks later to say that his son had joined the youth group and that it had a really positive impact on him. He’s now so much happier, confident, and comfortable in himself. This for me really demonstrated the value in having employee Networks as this colleague may not have known where to go to for support with something like this. I was humbled to be able to support and to have made even a small positive impact on someone’s life. myGwork: How supported do you feel by your management team/sponsors? Stuart: I’m really fortunate to have such a supportive line manager who trusts me and gives me the autonomy to manage my own workload and balance the day job with my ‘gay job’. The work I do within the Embrace Network can take up a lot of my time, particularly as it comes up to Pride season, so I could understand if there were concerns from a line manager’s point of view that the day job would be cast to the side a bit. However, my line manager trusts that I will deliver everything he requires from me, and sees the real value in the work that I do for the Embrace Network and commends me on my passion and drive to make a real positive difference. It’s great to have such a supportive manager and I doubt I’d be where I am now without his ongoing support. myGwork: Who are your sponsors? How are they helping? Stuart: As well as my line manager, my sponsors are TJ Richards and Darren Kerrison, our Embrace Network National Co-Chairs. I’ve worked alongside them for a few years now within the Network and I’m honoured that they have trusted me with the responsibility of the new Head of Pride Events role. What was really refreshing was that they gave me somewhat of a free reign and the autonomy to do what I wanted rather than being very prescriptive and micromanaging – as long as I did what I could to make it the best Pride season yet! Despite the fact that we’re based at opposite ends of the country and in different sites, they’re always there for support and advice when I need it, and they really make me feel valued in the work that I do for the Network. 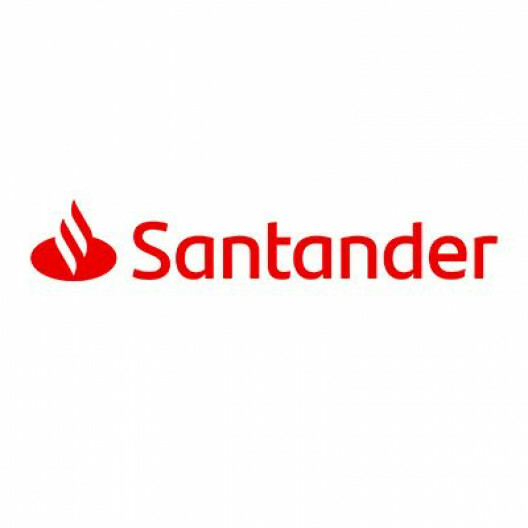 myGwork: Do you participate in other Santander's network events? Stuart: Yes, definitely, we have six employee networks here at Santander. Our Mental Wellbeing Network is our most recent one, which launched this year. In Glasgow, I collaborate closely with the Women in Business, supporting their local events and being on their committee. We do several cross network awareness events where I promote all of our People Networks, and we’re always looking at ways in which the networks can work together which I think is massively important so that we can learn from each other’s best practice, share learnings, and support each other. myGwork: How do you engage with the communities through the year outside Pride events? Stuart: Outside of Pride Events, the Network very much actively encourages us to support our community, there is a huge community focus in Santander with a real passion for our people to be actively involved in and make a difference in our local communities. In the past, I have done events to support Terrence Higgins Trust Scotland, such as a charity run in collaboration with Glasgow Front Runners, a local inclusive running group. I also attend a cross-industry LGBT+ networking group called Out in Glasgow which hosts monthly events bringing an opportunity to gather in an informal professional environment to meet, talk and discuss a wide range of topics with an LGBT+ focus. It’s a great opportunity to not only meet my peers in other organisations and share best practice but also to keep in touch with what’s going on in the wider local community. myGwork: Which advice would you give to other LGBT+ networks that want to organise/coordinate pride events? Stuart: I’d say the key to coordinating involvement in Pride events is organisation! Possibly naively on my part, I didn’t realise at first how much time and work goes into organising such events and making them a success! So I’d say get in early and plan, plan, plan! Also don’t feel like you have to reinvent the wheel; do your research, reach out to other organisations or local networking groups for tips and to learn from their best practice. In my experience, I’ve always found that there is a co-operative rather than a competitive spirit with other organisations’ LGBT+ network groups, and they’ve been happy to help by sharing their advice and learnings. I’d also say don’t try to do everything on your own! I’ve found that there are so many passionate and enthusiastic people who are more than willing to give up their time and energy to support. I have a fantastic working group to support with organising our Pride events, and I’m so appreciative of their contribution. Finally, I’d say to take some time in the end to reflect. Celebrate your successes, and hopefully, you’ll see that all of your time and hard work was more than worth it! But also get some constructive feedback and note your learnings so that next year you can learn from this and make it even better! myGwork: What are the next steps/activities for 2018? Stuart: We have some exciting plans for this year’s Pride season, with us attending 10 Pride events across the country this summer! Over the past year we’ve really increased our membership of branch-based colleagues; it’s really apparent that there is a real passion within the retail branch network to be more involved and participate in their local Pride events and so this year we’re taking part in several Pride events that we’ve never participated in before. I’m also really excited that for the first time we’ll be taking part in Manchester Pride since it’s one of the biggest in the country, and we’re hoping to really push the boat out and get a float as well! We’re also looking to decorate our branches across the country and add a splash of rainbow to our branch windows.